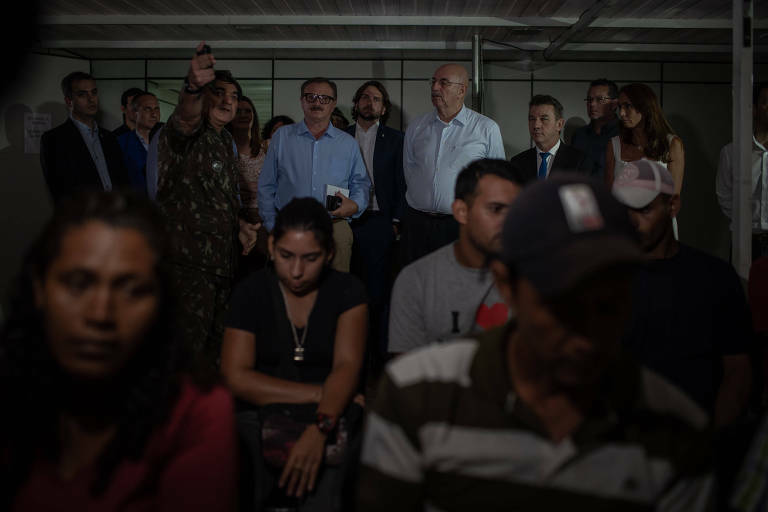 The Bolsonaro administration decided to extend Operação Acolhida (Operation Welcome) a program created to receive Venezuelans who arrive at the state of Roraima after fleeing the Maduro regime and afterward sending them to other parts of Brazil. Governor Antonio Denarium (PSL) announced the extension during a visit from senior cabinet officers to the program. The budget approved by the prior administration had set a March 31st for the operation to be over. General Eduardo Pazuello, who commands Operação Acolhida, said that another 12 months of operation had been already budgeted, but the matter was still being discussed. The expedition visit is the first time that Ministers from the Bolsonaro administrations visit the state since the president was sworn into office on January 1st. When asked about an eventual border closing, Ministry of Defense Fernando Azevedo said that the possibility is off the table for now. "How can we turn our backs to the Venezuelans," he said, during a press conference. In an article published on Thursday (17th) on a newspaper from Roraima's capital, the president said that "Brazil could never abandon hundreds of Venezuelans to their fate, people that are trying every day to survive the humanitarian crisis of their country." Share this "Bahia Lands on the List of Destinations that Obama Wants to Visit in the World"
Share this "Natural History Museum of New York Refuses to Host Event in Honor of Bolsonaro"
Share this "One-third of Brazilians Are Unaware of Crisis in Venezuela, Research Says"
Share this "Number of Brazilians Seeking Abortions in Portugal Increases 18 percent in One Year"